Let's spend some time together focusing on specific concepts, digging into the way things work, and building practical, real-world solutions for our clients! See a project through, beginning to end. 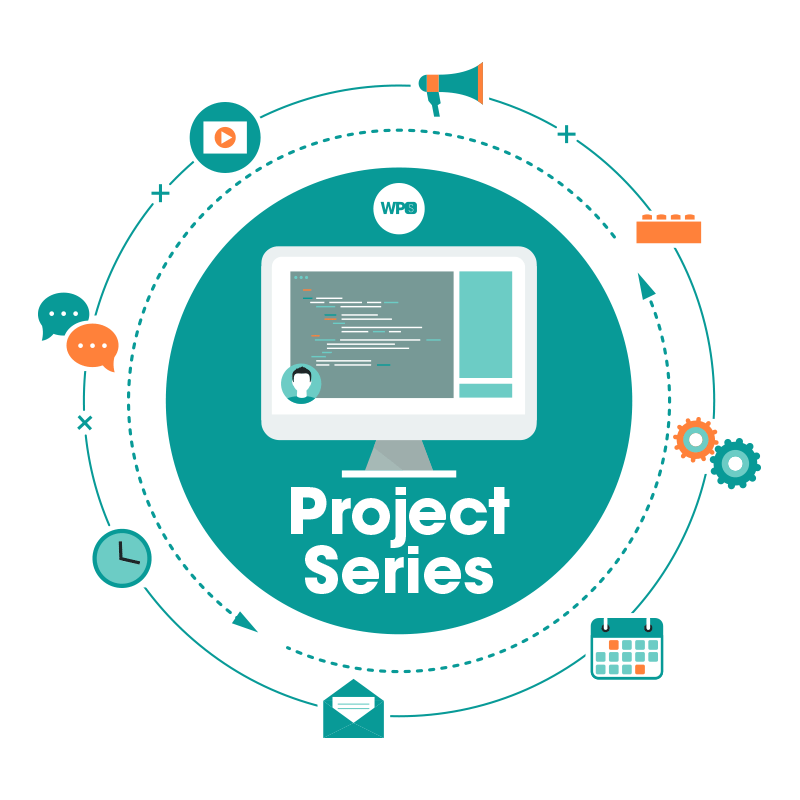 Each project series will help you build actual, tangible solutions – projects that solve problems you've either already experienced or will experience soon in your real work.The series will be split into multiple 15-20 minute live and recorded sessions. In these sessions we'll work on a single step of the project, allowing us to focus deeply on that aspect alone. You're not about to watch me banging around on a keyboard for an hour at a time, waffling from one idea to another. I'm coming to each project with a plan already in place. The plan may change over the course of the videos, just like a real project, but I get straight to the point and show practical, working solutions. Imagine the two of us sitting down side-by-side in an office somewhere. I've already spent some time in the problem space and know what we need to build and now I'm here to walk you through the whole solution. That's what this series is like. Watch live at 1pm EDT (17:00 UTC), Monday–Thursday, from Nov 12-21! This project is for me – for all of us, really! I've been experimenting with a few different player experiences and I think I've landed on something that I'm happy to implement. The new player needs to feature auto-advancing, speed controls, interactive transcripts, and configurable playlists. Become a member today and join the fun! Understand why as well as how. The entire coding series is narrated so you can be inside my head and understand why different coding decisions are made. I've found that understanding why is paramount to simply knowing what or how when solving problems. This is true when working alone, with clients, and with team members – explaining and understanding why a decision is made a particular way can do far more to illuminate a solution than simply showing the solution itself. I invite you to ask questions and provide feedback all along the way. If you're able to join me live you can ask your questions while I'm writing code and get them answered in real time. If you miss the live broadcast you can reach out via email, instead. No matter what, I'm around to help you best understand the material. You get the code, too. Once the project is complete you will have access to the final code. You can do with it anything that you like because it's all licensed under the GPL like WordPress itself. This means you can use it as-is, alter it to meet your specific needs, or just study the source in greater detail. Don’t spend even one more day trying to go it alone. Join WPSessions and become a part of this helpful, supportive community where you are truly empowered by WordPress! Ready to learn something useful? Become a member here at WPSessions and enjoy the project series plus experience the full benefits of everything we have to offer.